Nintendos Wi-Fi-Connection (WFC) erfreut sich immer größerer Beliebtheit: Mittlerweile haben über 5 Millionen verschiedene Spieler mit mindestens einem DS- oder Wii-Spiel online gespielt. Dies wurde gestern Abend in einer offiziellen Meldung bekannt gegeben. Weiters wurde die Marke von 200 Millionen einzelnen Verbindungen erreicht. Nintendo Wi-Fi Connection has crossed two huge milestones within just days of one another. Worldwide, since its launch in November 2005, Nintendo’s wireless gaming service has now connected more than 5 million unique Nintendo DS owners, and those gamers have racked up more than 200 million game-play sessions. Worldwide, nearly 65 games can be played via Nintendo Wi-Fi Connection. The five most popular globally are Animal Crossing: Wild World, Mario Kart DS, Metroid Prime Hunters, Pokémon Diamond and Pokémon Pearl. Nintendo DS gamers globally use Nintendo Wi-Fi Connection as an easy, fun place to find fellow players, all without paying anything extra for the service, explains Nintendo of America President Reggie Fils-Aime. The milestones represent millions of hours of fun and camaraderie despite miles between players. Nintendo DS continues to enjoy record-breaking success. According to new figures from the independent NPD Group, DS was again the top-selling video game system in April, with more than 470,000 units sold in the United States alone. That’s nearly 16,000 per day. Nintendo DS also finds success beyond the stereotypical young male gamer. According to internal Nintendo demographic tracking studies, in less than 18 months, DS purchases have increased by 42 percent among women, 127 percent among people 30 and older and 212 percent among people 35 and older. 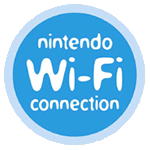 For more information about Nintendo DS and Nintendo Wi-Fi Connection, please visit www.NintendoWiFi.com. Derzeit liegen die beiden Pokémon-Editionen in den Statistiken vor Mario Strikers Charged Football, Animal Crossing: Wild World und Mario Kart DS. Mit Ausnahme von Mario Strikers Charged Football, welches erst letzte Woche erschien, führen diese Spiele auch die ewige Statistik an.